A nursing team is responsible for protecting the patient from any additional injury or illness. This online nursing course will provide you with excellent techniques for completing these duties professionally. 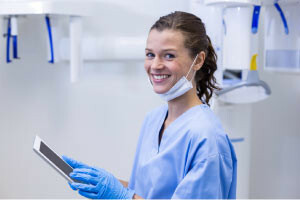 You will learn all about advanced patient hygiene procedures, environmental health and safety awareness, and how to ensure patient safety and comfort in the care setting, so that you can be sure your nursing skills are high of quality. This free online nursing course will first discuss the categories of basic human needs including physiological needs, safety, love and belonging, esteem, and self-actualization. This knowledge will help you understand your patients better. You will then study the equipment used for patient care as well as learn the guidelines for bed-making. You will be taught how to perform terminal cleaning of the patient care unit as well as learn the rules for the use of disposable and non-disposable items. Next, you will learn the advanced principles of patient personal hygiene, including mouth and skin care. You will study the purpose of giving the patient a bath, how to avoid the breakdown of skin and the observations which should be made during bathing procedures. You will also study the guidelines for shaving a male patient and performing perineal care, as well as learn the importance of a back massage. Finally, you will take a look at hospital fire and electrical safety measures. Caring for the general well-being of patients is a delicate but rewarding job. If you are interested in a career in nursing, this patient hygiene and care studies will be very valuable. It will also be of great interest to all healthcare professionals who would like to learn more about advanced nursing practices and procedures in adult patient care. So, take the course today and learn how you can give adult patients the extra care that they need. Identify guidelines for terminally cleaning the patient care unit. Discuss the rules for the use of disposable and non-disposable items. Determine the purposes for giving a patient a bath. Identify conditions which encourage the breakdown of skin. Identify interventions which can prevent skin breakdown. Identify patient needs and observations which should be made during bathing procedures. Describe the guidelines for shaving a male patient, and performing perineal care. Cite the hospital fire and electrical safety measures.